In recent times, the overall meaning and importance of fitness has changed in our society. People have come to realize how important it is to lose weight to stay fit and healthy. Earlier, people believed that hitting a gym was the best thing to do in order to stay fit and healthy. Eventually, people came to realize that gymming won’t be much good if they are unable to control their diet and reduce the intake of calories and fat. There are many different meal plans and diets which claim to be effective. At times, people also take supplements and protein shakes to burn fat and lose weights. Such shakes and supplements can sometimes work, but also have side effects. Therefore, something natural like fruit smoothies for weight loss is always a better option. Among all the detox drinks, fruit smoothies are considered to be the best. In this article, we will tell you how fruit smoothies can help you lose weight. 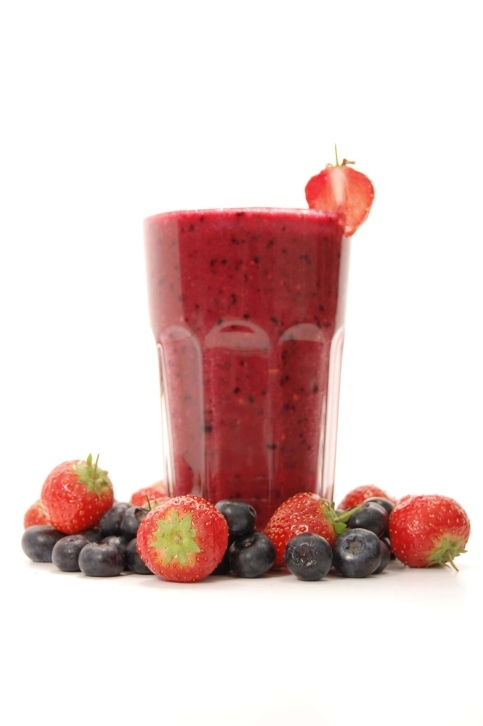 Fruit smoothies prove to be one of the most nutritious options for dieters. A good smoothie allows you to consume a fast meal with a lot of vitamins and fiber. Most of the drinks and foods which are as delicious as smoothies have a high calorie content. On the other hand, fruit smoothies don’t contain much fat. They have a high-fiber content and therefore, fruit smoothies can be easily digested. It is quite easy to add fruit smoothies to your existing meal plans. They keep your body hydrated for a long time. Moreover, you can make them delicious by including seasonal fruits like apples, blueberries and kiwis. Fruit smoothies for weight loss are quite effective and efficient. Fruit smoothies keep you full for a long time. As a result, you are not hungry frequently. This can be a major factor in losing weight. Fruit smoothies can keep you full because of the presence of essential fats, fiber and soy. Fruit smoothies make sure that you are able to overcome your cravings for junk food. Adding yogurt to fruit smoothies will keep you full even longer. It will also provide calcium to your body. It is a known fact that breakfast is the most important meal of the day. As mentioned earlier, fruit smoothies keep you full for a long time. Therefore, by adding them to your morning meal, you can avoid other high-calorie foods at lunchtime. Some studies also show that fruit smoothies can offer a healthy combination of protein, carbs and fat if they are consumed early morning. Fruit smoothies can be an effective replacement for high-calorie snacks. Fruit-filled diets are always considered to be positive and healthy. According to American Dietetic Association, people who consume more fruits in their diet lose more weight quickly. Such people also show long-term results and the fat does not come back in a short span of time. In fact, some researches also show that consuming more fruits with meals can reduce the daily calorie intake of a person. It is always important to buy fresh fruits and never buy something which is bruised or over ripened. Seasonal fruits are always better as they offer variety and freshness for smoothies. You can also keep bags of frozen peaches and berries. This will help you to make drinks quickly. It is also better to use a standard smoothie maker to mix the fruits in the drink. Mangoes and Bananas can act as thickening agents. You can also add other low-calorie and cholesterol-lowering ingredients to make a fruit smoothie even healthier. Using crushed ice is also a good option to give frothy consistency to a smoothie. You can also add soy to increase your protein intake. Fruit smoothies are not only excellent for losing weight, but also provide other health benefits. Most health experts say that fruit smoothies for weight loss are one of the best natural ways to lose weight without making any efforts. They keep you full, save you from temptations related to junk food, replace high-calorie snacks in your diet and help you lose weight quickly. Being natural, fruit smoothies make sure that results are long-term. If you are working hard to get thin and are desperately trying to control your taste buds then you have landed on the correct page. These delicious and healthy smoothie recipes are easy to make and satisfying to drink. Now, you don’t have to worry about gaining weight and can have tasty smoothies from the comforts of your home. Here are 7 most healthy and delicious smoothie recipes ever. This smoothie is refreshing and the best way to cool you down after a hard gym work out. This citrus flavored and low calorie smoothie will energize you to face rest of the day with a fresh feel. This smoothie is saturated with goodness of vitamin C which gives your glowing and a refreshed looks all day long. It is easy to cook and gets ready in 5 minutes. You don’t have to waste a lot of time in preparing the same. You can start this and finish in a jiffy, once you gather all the ingredients required to prepare it. In a blender add orange juice, peeled orange, vanilla extract, ice cube and fat free yogurt and blend it for 4 minutes. Pour it in a glass and serve chilled. Green tea is known for its antioxidant powers. Green tea is a powerhouse of nutrients and nature’s goodness. Blueberry adds that refreshing element and goodness of vitamin C and magnesium. This can be your daily dose fitness. You can easily prepare this smoothie in 5 minutes. This one also consumes very less time to get prepared. You can prepare it at any point of time. First prepare a green tea mixture. To make this take 5 tbsp of water or rose water in a cup and add 1 green tea bag. Microwave it for 3 minutes. Now, add honey and stir. In a blender add ice, berries, banana, soy milk and green tea mixture. Blend the ingredients for 4 minutes and pour the smoothie in a tall glass. You can also store this smoothie for hours in a thermos. Lose weight by drinking a delicious mix of raspberries and peanut butter. Its delicious pink color can fool you into thinking that it’s unhealthy but its detoxifying and stimulating properties would only be healthy for your body. This smoothie recipe entails ginger and almond milk which helps your digestion process and gets that wonderful glow on your skin. This is easy to make can be its preparation time is just 10 minutes. Combine all the above mentioned ingredients in a blender and blend for 5 minutes. Pour it in a tall glass and serve chilled. This juicy strawberry and banana smoothie is deliciously healthy and you would feel satisfied till lunchtime after having this smoothie in breakfast. This smoothie is a summer treat as you would feel refreshingly full after having this smoothie. Drink this smoothie and it would be your supplement of energy daily. This smoothie can be easily prepared in 5 minutes. Prepare this delicious recipe tonight. Serve your near and dear one. You will get lots of praises. In a blender add yogurt, orange juice, strawberries and banana. Blend for 2 minutes and serve chilled in a tall smoothie glass. Tropical zeal smoothie can come to your rescue when you feel like eating ice creams while dieting. You can add chunks of fresh coconut if you want some tropical flavoring in your smoothie. Adding coconut in this smoothie can be a healthy option as coconut has goodness of vitamins and essential oils. You may also add strawberries and raspberries for flavor. You can prepare this smoothie in 5 to 7 minutes. In a blender add some yogurt, ice cubes, coconut chunks, strawberries and pineapple chunks. Blend for 5 -6 minutes and serve in a tall glass. 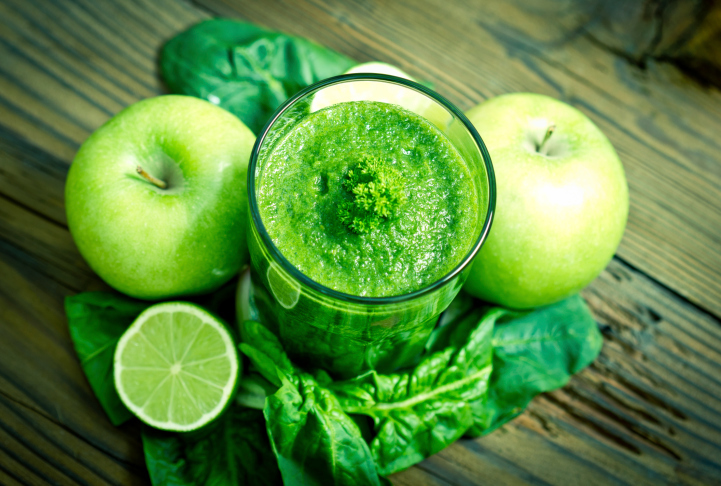 Drink this smoothie everyday and fight your heart diseases. Kiwi contains vitamin C and polyphenols in high quantities which help in fighting heart diseases. 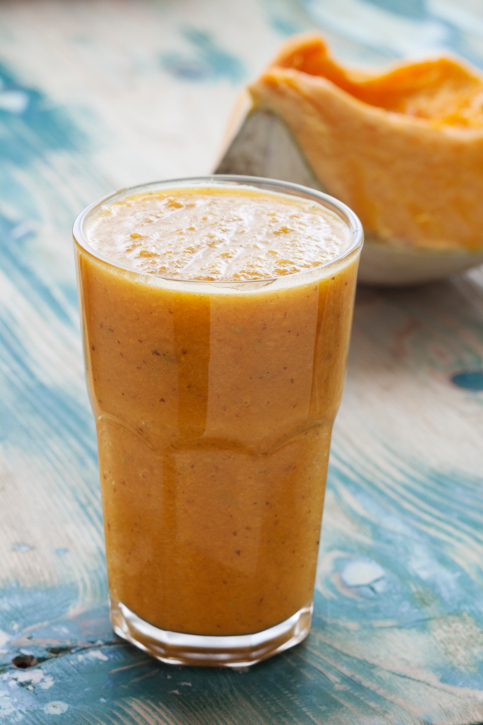 This smoothie is rich in fiber and is highly revitalizing after a long hectic day. This smoothie takes only 5 minutes of preparation time. Succulent and sweet blueberries make this smoothie naturally sweet and healthy. Your craving for sugar and sweet things during dieting can be satisfied by this delicious blueberry. Having this smoothie can be a healthy pick as it is refreshingly fruity and naturally sweet. Moreover the goodness of soy milk and bananas makes this smoothie fat free and rich in iron. In a blender add 1 cup of soy milk, banana, 2 drops of artificial sweetener, vanilla extract, and blueberries and blend it for 5 minutes. You can add more soy milk if you desire a thinner smoothie. These deliciously healthy smoothie recipes can come to your rescue in those hard days of controlling your diet. These smoothie recipes are easy, less time consuming and healthy to make after you come home from a hard gym work out. You can also give these healthy smoothies to your fussy eating children and see how they gulp these down to the last sip.